The recent and ongoing hysteria about Tiger Woods, Lance Armstrong and other sporting celebrities is understandable in terms of selling news, but the sanity levels are still being debated. It seems that if hype is the currency, that’s what’s published. The actual level of interest in sporting star’s private lives can vary a lot. Whether you’re a soccer superstar like Beckham or a netball guru, a pool player or a marbles champion, you can expect the media’s dubious ideas of proportion to be involved. 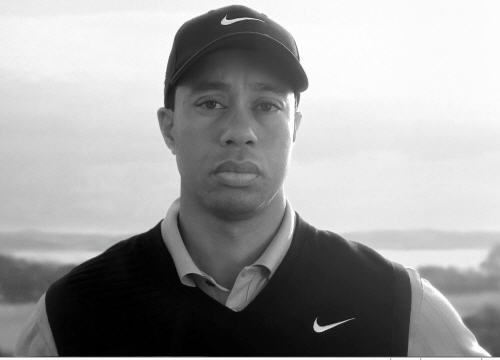 Tiger Woods is one of the all time great golfers. He was revered as a true champion. The gloss came off with a divorce scenario which would have left a soap opera gasping. Regardless of Tiger’s indiscretions, the line was drawn nowhere in terms of digging up any amount of dirt, real or imaginary, implied or based on statements with or without credentials. The net effect was massive mood shift. In an individual, it’d be called a medical condition, but in mass media it’s apparently normal. The result was that Woods lost a lot of endorsements. The sponsors reacted to the media’s coverage, quite regardless of his career achievements or any sense of propriety in terms of a private matter. Woods management could have been better in terms of PR. Instead of taking the quite legitimate course of telling the world to mind its own business, a series of press statements tangled up the ability of Woods to keep the situation in a rational perspective. 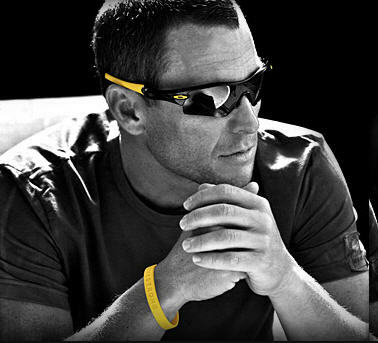 Lance Armstrong is one of the true heroes of cycling. He owned the Tour de France for years, an unparalleled achievement. That’s made him a target for negative publicity, in the eyes of mainstream media. An allegation, not a judicial investigation, of doping was enough to get the world’s media into a frenzy of innuendo. Doping is well known in cycling. A recent Tour de France was deemed a “farce” by cycling experts because of the very high level of proven doping cases. The furor died down soon enough, but Armstrong, given his profile, is effectively news if he blows his nose. Another great case of perspective which magnifies selectively. A celebrity is guilty until proven innocent. That’s no coincidence. They’re more newsworthy as guilty or suspect entities than they are as innocent. Anyone remotely associated with Armstrong is actually referred to as an “associate of Lance Armstrong”. It may not be subtle, but it does work. A person who would otherwise be a nobody, when tacked on to Armstrong, becomes a somebody. Whether generating an environment of dog eat dog in the sports media is a great idea is highly debatable. A lot of this highly unprofessional journalism borders closely on defamation, a true no-brainer for real journalists. It’s also a terrible approach to relationships with a sport where verbal hatchets will be resented not only by the sportsmen and their colleagues. The internet, which is less impressed by hysteria than the tabloids, could be the cure for this rabid approach. As true professionals journalists enter this medium it may be the end of this quite unacceptable culture. This entry was posted in Screen, Tee Box and tagged Lance Armstrong, Tiger Woods by Guest Authors. Bookmark the permalink. I think the guest author brings up some valid points. The media is changing. Has been for some time. No longer is it the major media outlets that break stories. No longer are they the number one source for news. As long as the traditional forms of media continue along the path their on, I think we’ll continue to see a shift in where and how people look for their news. I was thinking about that the other day. I miss getting info from magazines and newspapers. I feel like we might have been forced to be softer on athletes. I wonder how much more we would’ve hated someone like Bonds had he been under fire in 2010 like he was in the early 200’s? We were just getting into the speedy information age when he was the focus of PED’s, but now it would be twice as bad. First of all guys like Woods and Armstrong who place themselves in the public spotlight the way that they do and then expect that it’s an invasion of their privacy when questions have been raised about their behavior shouldn’t at all be surprised. Once in the public spotlight and domain they’d better make sure that their s_it is all in order rather than crying foul and an invasion of their privacy. I like the net, Chap. And I wouldn’t venture to give an in-depth explanation as to the many ways the media has changed, other than the obvious fact that information is a lot more immediate and accessible, and everyone now has a say. There’s no longer just three networks and a bunch of major newspapers. I do feel that journalism should be a little more fair in their coverage BUT when athletes open the door and do some pretty stupid things, they should probably be prepared to be judged. Comes with the territory, hey, Al? I can’t say that I disagree. Earning those millions and being in the public eye is one of the sacrifices these guys have to make. Well, Chap, you and I should talk via e-mail again. I’ve actually found that site to be quite useful, if used properly. And I do get a fair amount of traffic from there. With that it gives these a_s wipes all the convenience they need to hide behind the law. Ex Panthers wide Rae Carruth receiver who was implicated in the death of his ex girlfriend is now looking to have his sentence quashed and appeal his original sentence. How f_&*ed up is that ? His son was born with cerebral palsy because his birth had to be induced prematurely to save his life . His mother died on the operating table at the time. Carruth still says he had nothing to with her death even though his accomplices implicated him and said they were paid to kill his ex-fiance in order to avoid paying child support. Juice ‘OJ’ had his most recent appeal hearing turned down as he was seeking to have his his sentence quashed and overturned. I think you already know my feelings when it comes to Goodell ? I find the guy to be a complete buffoon ! He makes GOP gubernatorial candidate Rick Scott seem enlightened in terms of intelligence. When in reality we all know nothing could be further from the truth. Is it me but is Vols’ football coach Derek Dooley that much of an a_shole ? What the hell is he thinking making comparison of his football team to the German army (Nazis) of WWII ? Damn it seems in that part of the world “sh_t for brains” now seems to be the norm ? What with Dooley and Bruce Pearl they take the lack of intelligence to a new low ! I’m sure that the Klan are now licking their chops hoping to recruit Dooley to their cause ? LOL,LOL,LOL !!! I keep waiting on that 30 for 30 about Rae Carruth. Oh wait, that was his prison sentence. My bad. Goodell would have my vote before Scott, Al. I didn’t hear Dooley’s comments in their entirety, Al, although anyone with any sense should know certain comments will have certain repercussions. UT didn’t really need a reason to release him of his duties but rest assured this was probably one more bullet in the chamber.